From 2,950 students in 1940 to 18,550 in 2000, the University’s growing population reflected the school’s ambitions for expanding academic programs, demographics, student amenities, and its reputation among American universities. In the post-World War II years, former soldiers flocked to the University under programs like the GI Bill. Although small numbers were enrolled in the 1950s despite Virginia’s opposition to school integration, African Americans only became a sizeable population in the early 1970s. Increasing numbers of women enrolled in the University’s graduate and professional schools until they were admitted to the College as undergraduates in 1970. The University built at an unprecedented pace and scale to provide spaces for these new students to sleep, eat, study, and socialize. Stanford White, President Alderman, and the Architectural Commission carefully directed building projects to respect the axes, views, and style of Jefferson’s Academical Village. 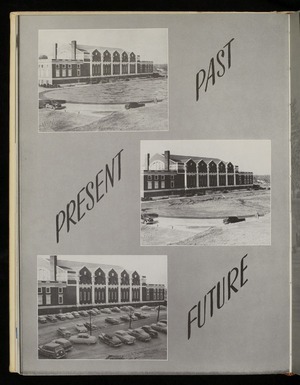 The University’s growth after World War II was fractured, reflecting suburban models of development. The creation of academic and residential nodes away from central grounds necessitated the accommodation of the automobile and assured the Academical Village’s transformation into a symbolic center.